With the acquisition of one of the best power-forwards in the game, Kevin Love, the Cleveland Cavaliers have created a new big 3 here in the NBA. With the young star point guard Kyrie Irving and the best player on planet Earth, Lebron James already on board, this is an extremely potent trio and could cause their opponents to have nightmares. It may take time for James and Irving to figure out how to maximize their potential as teammates, as they are used to playing with the ball in their hands 95% of the time. 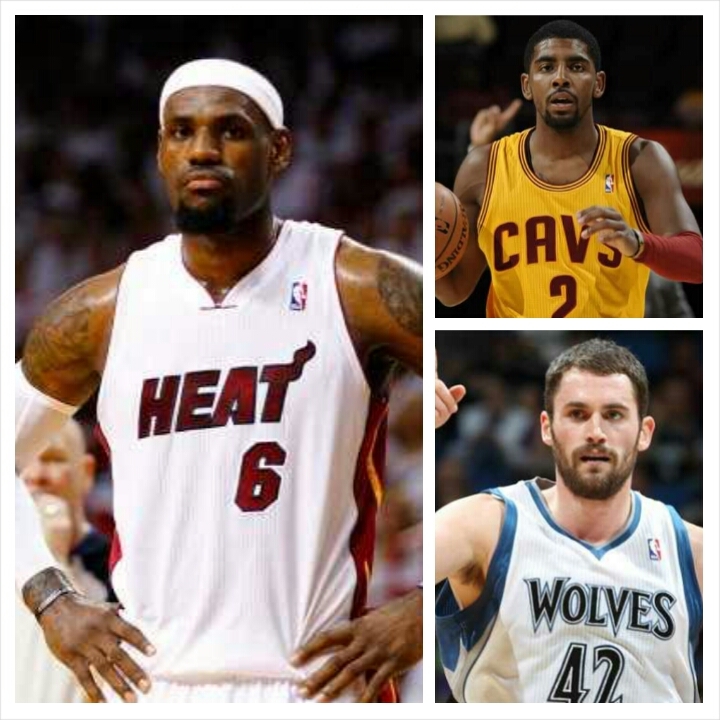 On the flipside the duo of Lebron and Kevin Love shouldn’t take that long to be great at all. Kevin Love’s skill set fits Lebron James better than any other player in pro basketball. Their feel on the court for each other should feel natural and be automatic. With Kevin Love being the best stretch forward in the league it should give Lebron all the room he needs to operate and have a plethora of driving lanes. This will be extremely difficult to guard because as soon as defenders collapse on James, he will immediately kick it out and you better believe Kevin Love will make them pay. Going back to the Irving and James dynamic, the only way they can be effective on the court together is that Kyrie must be able to play off the ball; something he is not accustomed to doing and may find difficult. He must be able to catch and shoot at a much higher clip than he has the past few seasons as he has one of the lowest 3-point percentages in the league off of the catch and shoot. 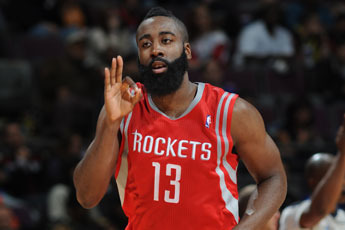 If he shores up these issues him and the 4 time MVP should be just fine playing with one another. With all three of these stars in their 20s they can compete for championships for many years to come, especially considering how weak the Eastern Conference is at this point in time. 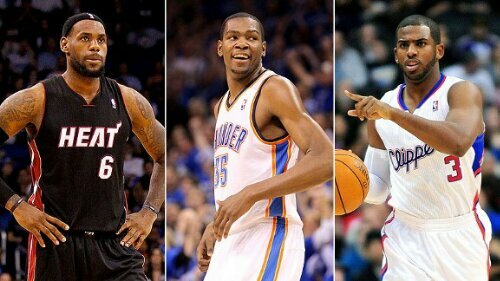 They have the potential to be as good, if not better than the Miami Heat’s version of the big 3. But in order for that to happen Kevin Love and Kyrie Irving must sacrifice parts of their game the same way Dwyane Wade and Chris Bosh did in Miami. They might find this much more difficult to do than those two but it can still be done. Another thing they must do is significantly increase their defensive games in order to be great, but I’m sure it will be done as Lebron James will demand that effort on the defensive end. It will be very interesting to see how these stars mesh and jell together, it will be a long process but if it is done right they could be very very good. 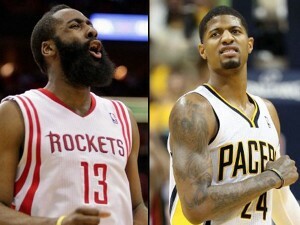 If they figure it out I don’t think there will be anybody in the NBA to stop them. Cleveland fans should have every right to be excited about what this upcoming season could bring to Northeast Ohio. Questions have been soaring throughout this entire offseason about if the reigning champion Miami Heat will be usurped as kings of the basketball world. With the return of Derrick Rose, the reloaded Nets, and the emergence of Paul George and the Pacers the East looks primed to give the Heat a very difficult time. The West, on the other hand, hasn’t made as much noise, but some people think that with the Clippers new additions and arguably the best coach in basketball, they may have been put over the top. The answer to all these questions is a definitive NO. 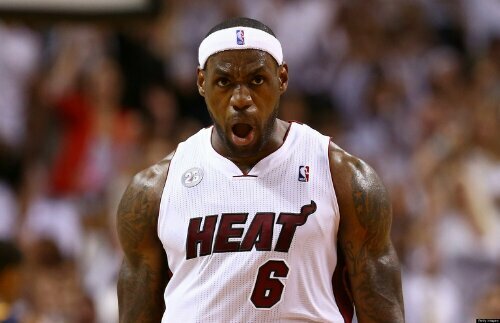 The Miami Heat are still the best team in all of basketball for a variety of reasons. For one they still have the greatest player in the world in LeBron James and arguably the best shooting guard in Dwyane Wade. They have a multitude of shooters at their disposal in Chalmers, Battier, Cole, Lewis and the best shooter of all-time, Ray Allen. And in the frontcourt they have Chris Bosh (a player who’s entering his prime,) Birdman (defense, trash buckets, energy and rebounding.) Along with Anthony and Haslem two solid defenders with the latter being a solid role player. But we also can’t overlook the additions of Beasley and Oden two low-risk high-reward guys along with sharpshooter Roger Mason Jr. If Miami gets anything out of Beasley and Oden it’ll be a wrap. Oden would be the anchor of an already great defense and the bigman Miami lacked, while Beasley would be another scorer who would make it easier on the Big Three and co. If they can stay healthy through another grueling season for the first time in years, they should be crowned the champions by default. I mean it’s not close; especially if Dwyane Wade stays healthy, which he has not been able to do for the past two championship seasons. 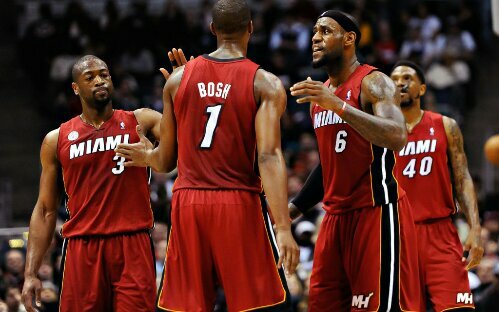 Bottom line the Miami Heat are too deep and lethal for anyone in the league to deal with. LeBron has so many weapons at his disposal it’s ridiculous. This is arguably one of the deepest if not the deepest team to ever come together. Simply put, you can’t stop a King who has an endless supply of firepower! Enough of the games already! Are you going to play or not? Stop saying you don’t know. Stop leaving it up in the air. Stop holding your fans hostage! Just make up your damn mind! If you’re going to play do it. If you’re not going to play just come out and say it. We’re all tired of waiting! You were medically cleared to play two and a half months ago; what’s the hold up? You claimed you weren’t confident in dunking and cutting, but now you’re doing that all the time in practice. You your hamstrings were burning which is why you didn’t play, but you’re still practicing hard and not taking it easy. You later said you felt discomfort in your knee area. My question is why did you still practice on it? Right before the Playoffs started we asked you if you were going to return. You answered by saying, “I don’t know it’s in God’s hands.” And then just the other day we asked again and you claimed you have had problems with muscle memory. How in the HELL do you have that problem? You’ve been playing ball since you were a child; you’ve been practicing for over two months, warmup before the game and you still have the audacity to say you lack muscle memory! Give us a break! If you don’t want to play SAY IT! Dwight Howard came back early from injury; Metta World Peace came back from injury early; Iman Shumpert, who suffered the same injury is already back; Blake Griffin played through an injury; Chris Paul played through an injury; Steve Nash attempted to play through an injury; Stephen Curry has an injury; D-Wade has an injury; David Lee who was suppose to be out for the rest of the postseason came back early! And that’s not even half of the people that are playing through or came back from injury. Rajon Rondo is itching to play. You don’t think he’s a franchise guy? Steph Curry is playing on bum ankles, with one being aggravated again. Is he not a franchise player? The list goes on. Great players return from injury early, especially when their team is need! How are you going to call yourself a franchise player when your franchise needs you now? Noah is playing through Plantar Faciitis; Nate Robinson is extremely sick; Hinrich is battling an injury that’s keeping him in and out the lineup; Deng is hospitalized; Taj is injured; Hamilton is injured; Boozer is banged up. How can you just sit and watch them fight and play thru the injuries and sicknesses, and say you’re not ready to take the floor? You’re easily their healthiest player! Even if you’re not “100%” you could still come in and provide 5-10 minutes max. Elite players, franchise guys, and superstars will do whatever it takes to help their team win. We see Kobe do it all the time; we watched Dirk do it; we watched Mike do it. 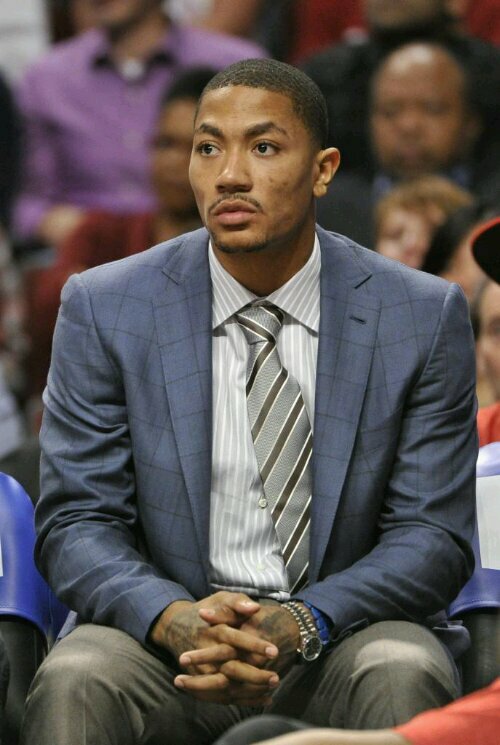 Now its time to you see you, Derrick Rose, do what other franchise guys do. And that’s coming through when it matters most. Forget the past and don’t worry about the future! Your team needs you now! 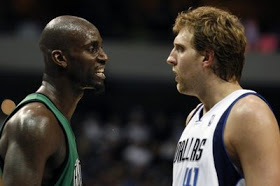 In my last post I left off comparing Dirk to KG and said Dirk would KG’s Boston teams better. (link to my last post http://wp.me/p33YLP-2a) With Dirk’s shooting touch and post play, ( which is a bit underrated,) Boston would be alot better than they are now and better than they were yesterday. But anyway, on to the next player on the list, Charles Barkley. Chuck was an undersized four that played big and could handle the rock decent enough to be a guard; or in his case a Small Forward. At 6’6, 252lbs Chuck averaged 22.1ppg, 12rebs and 4ast for his career. During the duration of his career he won an MVP award, was named an All-Star 11 times, got selected to the All-NBA First and Second Team 5x each and was on the All-Rookie First Team (1985). He also went to the Finals, where he lost to MJ, and played for the Original Dream Team. That’s all fine and dandy, but at the end of the day he’s not better than Dirk. As a 7ft pure shooter, Dirk boasts an advantage. Throw in the fact that he didn’t play with Scottie Pippen, Hakeem Olajuwon, Kevin Johnson, Julius Irving, Moses Malone, etc and you have an uneven argument. By pairing Dirk and Hakeem together you’ll have a dynamic duo that’ll be unguardable. ( Dirk had Tyson Chandler, TYSON CHANDLER as center and won the chip, c’mon now.) Pair Dirk with Doc J, Mo Cheeks and M.Malone and you’ll have a dynasty, their ages wouldn’t matter as long as Dirk was there. Last but not least, Dirk’s game isn’t based on athleticism like Charles’ was, therefore that’ll enable him play longer and still be effective like Kareem Abdul-Jabbar was. Longevity is one of the major reasons why Dirk will surpass Charles Barkley. In front of Chuck lies Karl Malone, who is the 2nd leading scorer in NBA history. Malone has two MVP Awards, 14 All-star selections, 11 All-NBA First Team selections, two 2nd Team selections and 3 All-Defensive First Team selections and was apart of the original Dream Team. Like Chuck, Malone accomplished some things as well as lose to MJ in the Finals, but twice. For his career he averages 25ppg on 18 shots, 10rebs and 4ast. Dirk on the other hand averages 23ppg on 17 shots, 8rebs and 3asts, while shooting a better Freethrow and 3pt % than Malone. Realistically the numbers are close, but the impact on the game isn’t. Downlow Malone would score at will and ran the Pick and Roll to perfection with John Stockton. By doing those two things well he helped open the floor a bit for Jeff Hornacek and Bryon Russell. Having J.Sloan as the coach helped alot as well, especially when it comes to running the pick and roll. Substitute Malone for Dirk and the Jazz become better. Defensively they add a bigger and longer body, which pays dividends when defending. Offensively it’ll help help open up more things. With him stretching the floor he’ll open up lanes for Stockton to drive in as well as Hornacek. At 6’9 Malone wasn’t a joke but he also wasn’t a 7ft pure shooter that couldn’t be stopped. Coincidentally Dirk won his first Playoff series against Karl Malone. During that series Malone averaged: 28ppg 4to 1blk 1stl 3ast 9reb and 24shots, while shooting 80% FT, 50% 3pt ( 0.2 -0.4 that doesn’t count!) and 40% from the field. 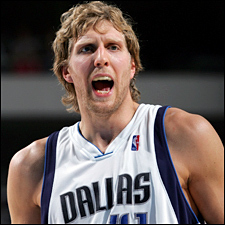 Dirk averaged: 24pts 2to 1blk 0stl 2ast 8reb and 16 shots, while shooting 90% FT 34% 3pt and 40% from the field. Is there a clear winner? I mean give Dirk the same amount of shots and he would’ve averaged more points. But honestly this debate can go either way. Would you prefer a nice, average sized post man who is devastating on the low block, or a 7ft big who can shoot from anywhere and is just as good downlow as anyone else? The choice is yours. Now it’s time to see how Dirk measures up the greatest PF, Tim Duncan. Duncan is a 4x Champion, 3x Finals MVP, 2x MVP, 14x All-Star, , 9x All-NBA First Team and 3x Second Team Player, 8x All-Defensive First Team and 5x All-Defensive Second Team player and a former Rookie of the Year. With him boasting all of these credentials it’s hard to put anyone over him! But when you look at the numbers you see a different story. As was the case in other battles no one really gains the edge. And once again we don’t have anyone gaining an edge. But when you look at the teams you have to give it to Dirk. Dirk didn’t get coached by Gregg Pop. or play with Tony Parker, David Robinson and Manu Ginobli. Give Dirk the supporting cast Duncan has/had and Dirk’s resume would look different. Throughout all of the comparisons one thing remained constant, he didn’t have as much help as them. Despite not having as much help as the others he managed to get a ring with good role players. When he had Nash and Finley on his side Nash wasn’t Phoenix Nash and Finley aged quickly therefore making them good, but not great 2nd and 3rd options. Some say he’s not a defender because he doesn’t have any awards. What they fail to realize is that he plays solid but not great defense. When you’re 7ft with long arms you’re already a decent defender. Other things people should take note of is how Dirk changed the postions. He completely revolutionized the Forward positions. After watching him terrorize the league as a 7ft pure shooter, GMs and others started drafting players of his caliber. Dirk paved the way for guys like Kevin Durant, Chris Bosh, Pau Gasol, Ersan llyasova, Hedo Turkoglu, Peja Stojakovic, Ryan Anderson, Andrea Bargnani, Kevin Love and others who are all essentially shooting bigmen. Barkley, Duncan and Malone didn’t do that. Dirk also led his Maverick teams to 50+ wins in 11 straight seasons. Only Duncan surpassed that. Dirk also led his team to a 67 win season, which happens to be tied for the 6th most wins ever in the Regular Season. And if that isn’t enough Dirk is only one of five players, Elgin Baylor, Hakeem Olajuwon, Bob Petit and Shaq, to average 25pts and 10rebs in the Playoffs and last but not least the only 7ft player to be in the 50’s, 40’s, 90’s club. At the end of the day he’s the greatest European player and the 2nd best, if not the best, Power Forward to ever play the game.